Julian Assange was arrested today after spending seven years hiding from police and courts in the Ecuadorian embassy in London. The Wikileaks founder had been living in a small room at the embassy after the British courts ruled that he should be extradited to Sweden, where he faced sexual assault charges that have since been dropped. Ecuador brought the sage to an end by removing his asylum status and allowing police officers to enter the embassy and arrest him. A new YouGov poll shows that a third of Britons (36%) support the Ecuadorian government’s decision. One in seven (14%) think he should have been allowed to stay, rising to one in five (19%) among Labour voters. But despite seven years of news coverage half (50%) of Britons say they don&apos;t know, or aren’t familiar with the issue. The number of Britons backing his arrest are down slightly since a poll in 2013 showed that a majority of the British public (58%) wanted him extradited to Sweden. Four in ten (43%) said they preferred waiting for him to leave the embassy and arresting him then to ignoring international law and entering the embassy by force, an option preferred by 15%. In the US, a 2018 YouGov / Economist poll showed that the majority of Americans align with the UK on whether Assange should be prosecuted. One in three (39%) support his prosecution and one in five (20%) oppose it. Opinions towards Assange as an individual are less favourable than ever, however. 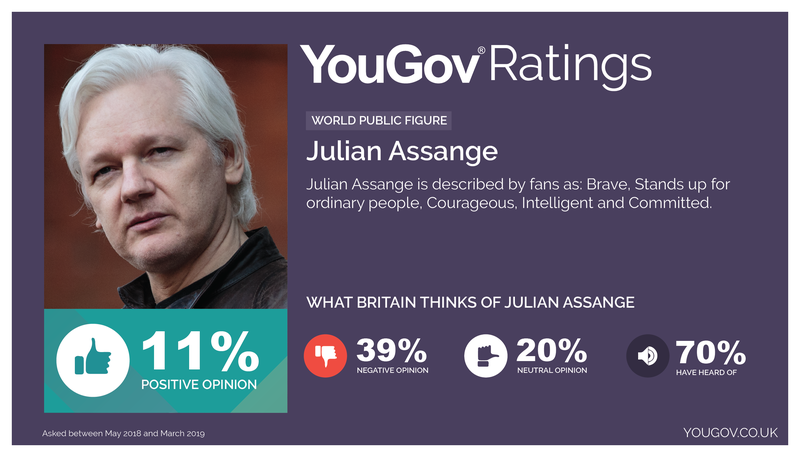 According to YouGov Ratings data collected between May 2018 and May 2019, just one in nine Britons (11%) have a positive opinion of Julian Assange. By contrast, in 2013, one in three Britons (29%) said they had a positive opinion of Assange. Four in ten (39%) have a negative opinion of him now - the same proportion as in 2013 (40%). 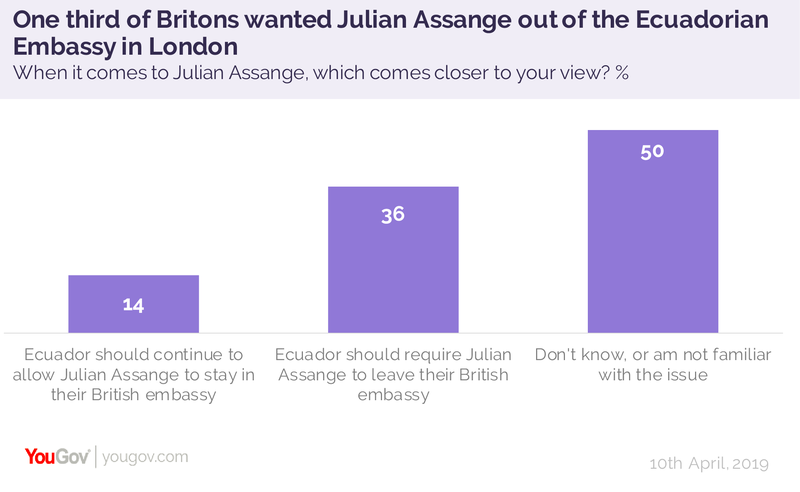 A 2018 Economist/YouGov Poll in the United States showed that twice as many Americans have a positive opinion of Assange than Britons (20% versus 11%), while the same proportion have a negative opinion (38%). Men express a significantly stronger positive opinion towards Assange than women. YouGov Ratings in the UK shows that Assange is twice as popular among men - 15% have a positive opinion of him compared to just 6% of women. Similarly, in the US, a 2016 YouGov poll shows that a third (32%) of men have a favourable opinion of Assange himself, compared to one in five (22%) women. The same poll showed that half of men (48%) have a favourable view of Wikileaks, compared to a third (35%) of women. However, YouGov’s latest poll demonstrated that although men were twice as likely as women to think he should be allowed to stay in the embassy (19% versus 9%), they were also significantly more likely to think he should leave (43% to 30%). 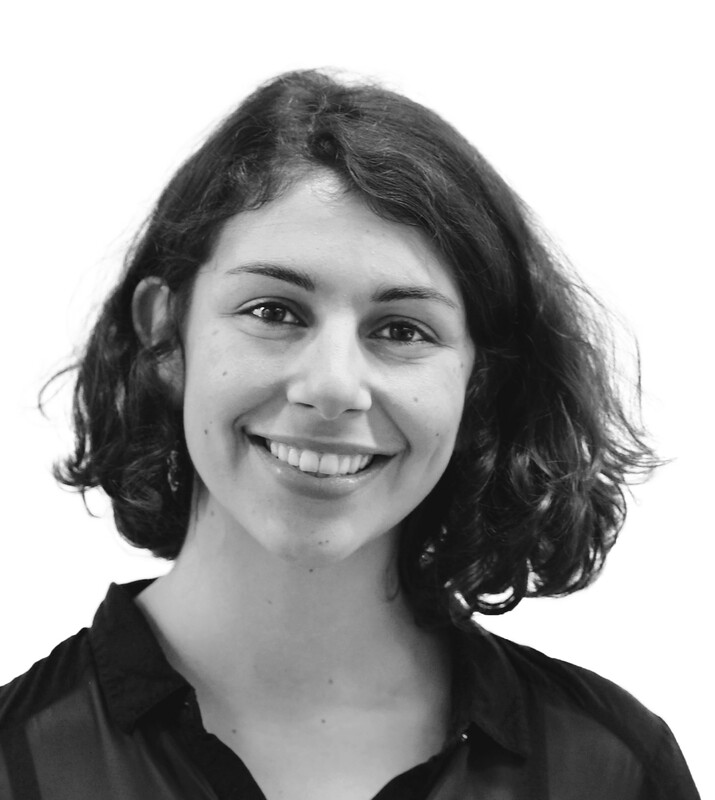 The difference is an extreme example of a common statistical occurence, namely that men are simply much less likely to say they ‘don’t know’ to any question, on any topic, than women are ( e.g. 38% versus 61% on this issue).